The Phoenix-based family company is about to launch its first ever moveable weight driver – the G410. In this day and age of over-the-top marketing, accelerated release cycles, and clubs whose worth seem to rely on how shiny and colorful they are, it’s good to know at least one manufacturer resists any temptation to launch products for the sake of it and sits tight until it can prove beyond any doubt its new equipment is better than anything it has offered before. Over the last decade or so we’ve seen innumerable advances in driver tech – adjustability; multi-material construction that has helped lower the Center of Gravity (CG) and increase Moment of Inertia (MoI); CG positioning that optimizes spin rate; clubs with specific flight biases; better aerodynamics that have increased clubhead speed; improved titanium alloys for clubfaces that have helped increase ball speed; enhanced acoustics, etc. These upgrades have been partly responsible for the average driving distance on the PGA Tour rising by almost 25 yards in the last 20 years (improvements in ball technology are a pretty significant factor too, of course), and helping amateur golfers like you and me find a few more yards and fairways. However, in improving one feature of a club, another is invariably compromised. In particular, the components that make a driver adjustable have mass which needs to be accounted for elsewhere in the club. There’s always a trade-off, and Ping has never really done trade-offs. 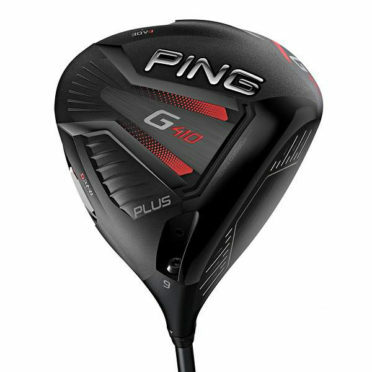 It took them until 2012 to introduce its first adjustable hosel in the Anser driver, and it is only now introducing its first ever moveable weight driver – the G410 Plus which is set for release on March 7th. Ping engineers positioned a 16g weight and the track on which it slides (from heel to center to toe) on the very back of the club straddling the seam between crown and sole. Regardless of where the weight is on the track, the club’s MoI is greater than that of its predecessor – the G400. 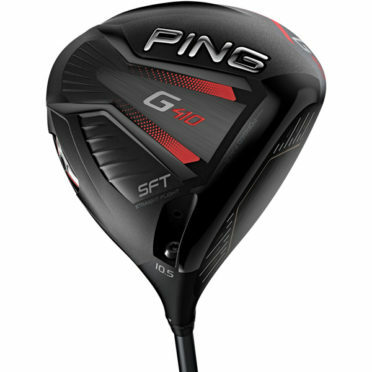 Ping decided to add the moveable weight because the majority of its Tour players and custom orders demanded weight be added (in the form of hot melt – a thick, glue-like substance injected into the head) to either the heel or toe. Ping also modified the hosel sleeve – eight settings now allow players to adjust the club’s loft by up to 1.5°. The 455cc body is built from Ti 8-1-1 titanium with a crown that is just 0.017” thick. The face is Ti 9S+. Turbulators are present and correct as are Dragon Fly beams that are slightly less prominent than those of the G400 but which still provide structural support. 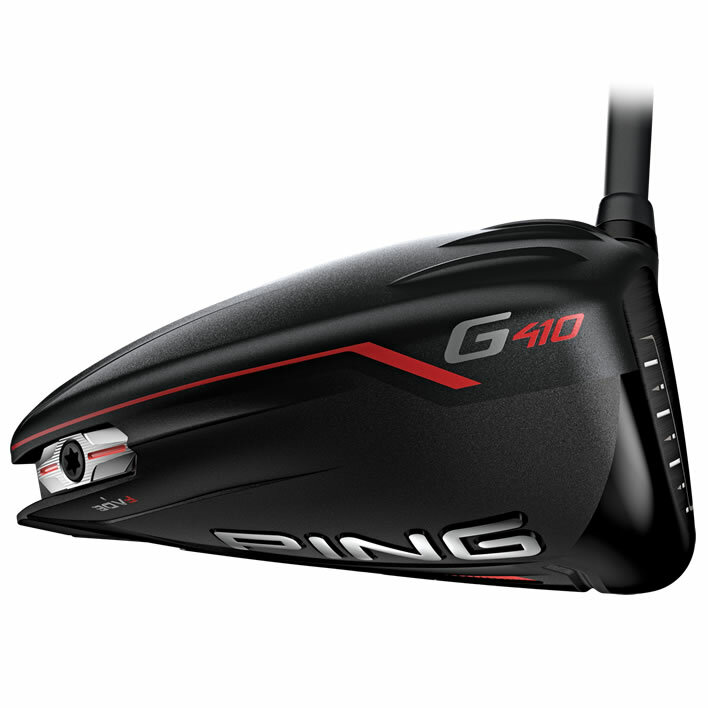 In addition to the G410 Plus, Ping is also launching the G410 SFT (Straight Flight Technology) whose goal it is to take the edge off your slice, if not eliminate it altogether. Instead of offering a moveable weight as in the G410 Plus, the SFT version possesses a stationary weight planted low and deep in the heel to enable the slicer square the clubface more efficiently.